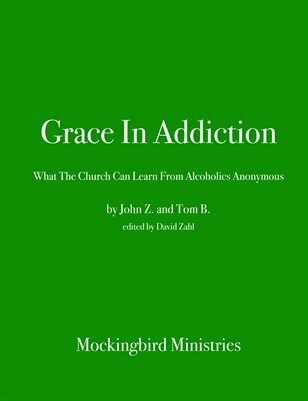 The Christian church learn a great deal from Alcoholics Anonymous about both the nature of addiction and the reality of how God works in the lives of troubled people. In this sense, AA can help the church rediscover a great deal about itself, much of which has been sadly lost, at least in many of the church’s current mainstream expressions. Specifically, AA can recall to the church its understanding of the human condition as intrinsically impaired, of God primarily as rescuer and of spiritual growth as a cyclical rather than linear phenomenon. Furthermore, AA offers an extraordinary model for how those understandings play out on an organizational level. The aim of this booklet, then, is to re-establish both a basis of hope for the church and a basis for the church as hope.